The September featured artist is Madison Potter, Jenny Blasen. Jenny was first introduced to ceramics in college as an exchange student in Japan. Many nights and weekends in community studio spaces over the years have led to her own studio in her home where she works on her pottery whenever possible. 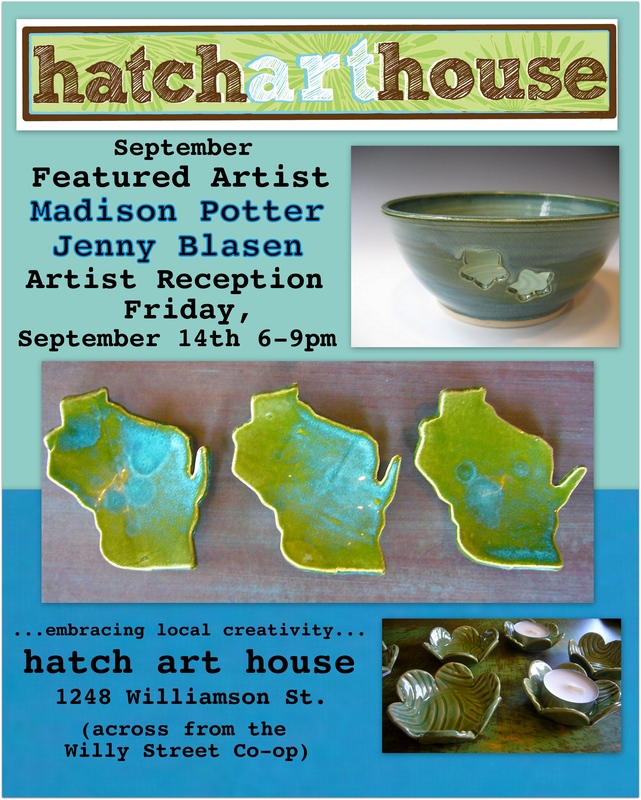 Jenny will be showcasing her work at Hatch from September 1-31st with an artist reception on Friday, September 14th, 6-9pm. Good times and refreshments will be served.